If you have been playing blackjack for a period of time then there are more than enough chances that you may be quite familiar with common blackjack myths. Most of these misconceptions about this game are taken as Gospel’s truth by majority of the players. All of these blackjack myths are based on personal experience of some players which are now followed by all of us. These beliefs range from scientific mumbo jumbo to totally foolish notions of luck being affected by another person on the table. The actual fact is that these myths have no whatsoever impact on your game and most of them are quite false. If you want to be a successful blackjack player then you should be able to differentiate between logic and absurdity pandered by nincompoops. In this article we will go through some of the common blackjack myths and reality associated with them. This myth relates to the concept of hot and cold blackjack dealers. This results in players avoiding the tables where a dealer is continuously winning for a period of time. These players will like to join a table where a dealer is going through a losing streak. The reality is that you can note the winning or losing streak of a dealer but you cannot predict what is in store for the coming time. The cards of deck are oblivious to the number of wins or loses made by a dealer and they remain so throughout the due course of the game. No one can foresee what will be the outcome of the next hand as past results never predicts the future results. There is a common belief that card counting is not illegal but a casino can ban a player if he or she gets caught counting cards. The reality is that even though this famous technique is not illegal but casinos do not want to give out their money so easily. So casinos make sure that players continue to believe in such notions and avoid using this strategy for their game. You can use this technique without any fear of being doing something illegal. The actual fact is that once you learn the art of card counting you can significantly decrease the house edge associated with this game thus increasing your chances of hitting more wins. There is misconception that buying insurance for every instance is foolproof strategy. In reality it is one of the worst moves which can be made by a player. 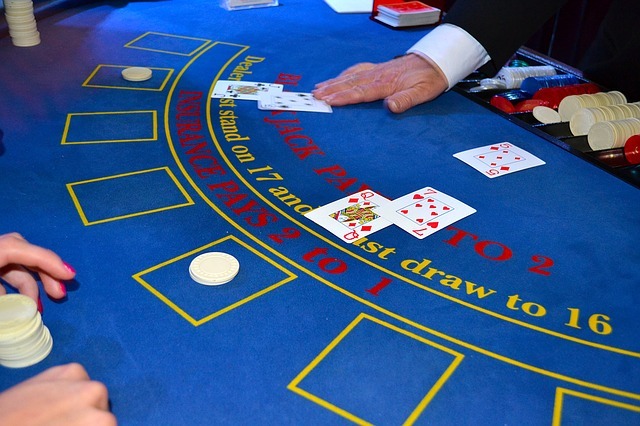 Whenever a player opts for the insurance he or she is giving up thirteen percent of the profit which can be made from a single game of blackjack. This action drastically cuts down your winning margins and it is always better to avoid this trap. There are many players who believe that a win is due after subsequent losses. In other words, they start betting more heavily in the hope of hitting a win. The reality is that game of blackjack comes with a probability of 48 percent of winning. So if you have already lost six or seven hands in a row then it does not make you eligible for impending win in the next game. It is better to avoid playing when you are certain that you are going through a negative variance rather than increasing your losses.